Welcome Home! This beautifully maintained home in the sought after community of Fletcher Heights is the one you’ve been looking for! This home features 3 bedrooms (plus enclosed den), 2 bathrooms, and a huge 3 car garage. It is situated on a premium corner lot, close to the green belt, with North/South Exposure! The exterior of this home was recently painted and the landscape is beautifully maintained. Come inside and see the upgraded tile and paint throughout. The backyard features artificial turf and a great covered patio. Directions: E on Beardsley to the roundabout, take your 3rd exit to 81st Ave, Turn L onto Deanna Drive, L onto W Rose Garden Lane. First house on the right. Approximate size: 7039.00 sq. ft. Please, send me more information on this property: MLS# 5911598 – $338,500 – 8222 W Rose Garden Lane, Peoria, AZ 85382. 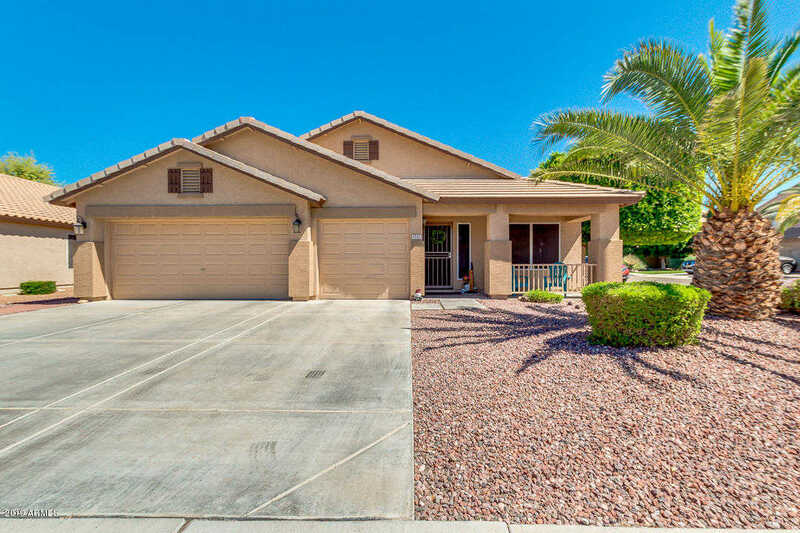 I would like to schedule a showing appointment for this property: MLS# 5911598 – $338,500 – 8222 W Rose Garden Lane, Peoria, AZ 85382.